Watch the 3D Tour! Crystal River Lodge-Sun meets Snow in this resort like community with newer high quality and luxurious construction in a lodge style. 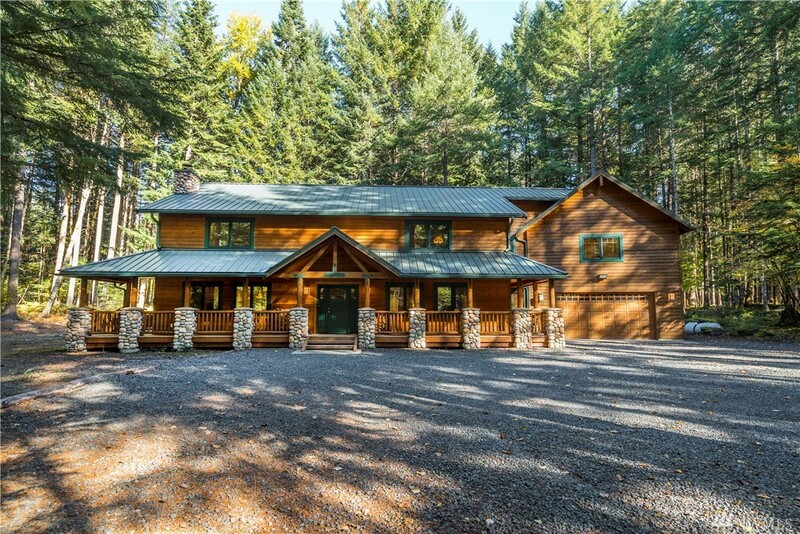 Finishes like granite, quartz, slate, tongue & groove ceilings, log staircase and warm woods throughout deliver a lodge experience. Thoughtfully designed for sleeping 20 + and parties of 30+ w/ outdoor spaces, main floor master suite, bunk rooms, hot tub & covered porches. Generator. Extra Parking. Minutes to Mt.Rainier & 20 min to ski. Unique.